Home / All TV Shows / Go, Diego, Go! When will be Go, Diego, Go! next episode air date? Is Go, Diego, Go! renewed or cancelled? Where to countdown Go, Diego, Go! air dates? Is Go, Diego, Go! worth watching? 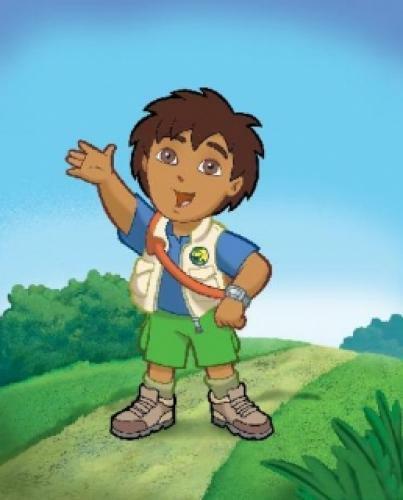 Nick Jr. introduces Go, Diego, Go!, an animated play-along series starring Dora the Explorer's cousin, Diego Marquez, an eight-year-old rough and tumble action-adventure hero with an intense love of nature and the animals around him. Diego takes viewers on high stakes animal rescue missions while encouraging them to jump, clap, cheer and speak in English and Spanish each step of the way. Diego is joined by his 11-year-old sister Alicia, along with a loving group of loyal animal friends who will encourage kids to use scientific thinking and investigative strategies to help the animal in trouble. Go, Diego, Go! next episode air date provides TVMaze for you. EpisoDate.com is your TV show guide to Countdown Go, Diego, Go! Episode Air Dates and to stay in touch with Go, Diego, Go! next episode Air Date and your others favorite TV Shows. Add the shows you like to a "Watchlist" and let the site take it from there.